Recently, an undergraduate engineering student from Khulna University of Engineering and Technology (KUET) in Bangladesh showed me his mobile app that helps a blind person navigate while enabling family and friends to track their whereabouts. I was impressed with his capacity to apply electronics, geographic information system, and programming knowledge to develop a real-life solution. Like this student, the ability to innovate harnessing existing talent and infrastructure already exist in Bangladesh. 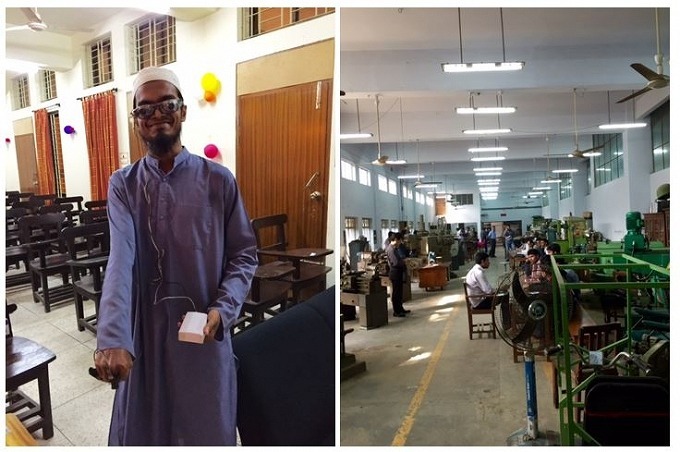 Leading universities, like Bangladesh University of Engineering and Technology (BUET), KUET, Bangladesh Agricultural University, and University of Dhaka already have analog fabrication labs for molding, casting, wood and metal workshops and robotics. The BUET even has a 3D printer, although it is an early version. What is missing is a transformation from analog to digital to improve precision, design, and speed of fabrication and prototyping, a market-oriented product development, and multi-disciplinary teaching, learning, research, and entrepreneurship to advance innovation. A local innovation ecosystem has also been emerging. Last year, the first hardware startup competition called “Make-a-thon” (website and video) connected young entrepreneurs, industries, and professors to jointly make solutions. BRAC has also organized a 36-hour hackathon event called “Bracathon” to provide a platform for the youth to make mobile applications for social innovation. To foster innovation and university-industry partnership, the Higher Education Quality Enhancement Program (HEQEP), have been supporting Universities with an Academic Innovation Fund (AIF). To accelerate this effort, the project team organized a workshop on the digital fabrication laboratory (Fab Lab) potential to introduce Fab Lab concept. Fab Lab started a decade ago at Massachusetts Institute of Technology (MIT)’s Center for Bits and Atoms. Fab Lab is a space with a set of digital fabrication machines for invention, innovation, and entrepreneurship with a unique operation (see video). Unlike traditional academic laboratories, Fab Lab is open to the public and is connected to about 500 local Fab Labs around the world as a global network to share knowledge, design, and process to facilitate peer learning. A hands-on distance education course called “how to make almost everything” organized by the Fab Academy and annual Fab Lab conference contributes to sharing knowledge and building community. 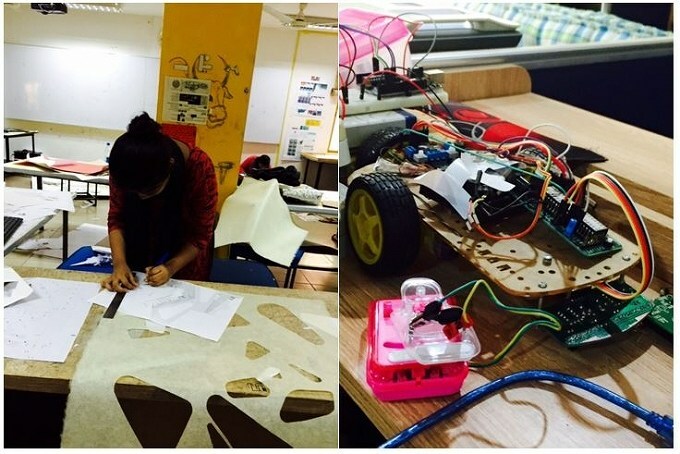 BRAC University’s architecture department has already noticed the significant value of 3D printers and laser cutters for their architecture students. It helps expand their design capacity and release them from manual model making, which has encouraged them to apply for the AIF in order to set up a mini-Fab Lab. Centrally managed Fab Lab at universities can be a platform to connect disciplines across universities, industries, and users to implement research and incubate prototypes. Based on the strength of the universities and local needs, this approach can be applied to industries including energy, medical and pharmaceutical, furniture, leather, garment, and agriculture. Access to digital modeling and design tools such as 3D printer and laser cutter can unleash creative talents in Bangladesh. This could help the garment, furniture, and leather industries move up the value chain from assembling and sewing to designing and producing better products. ​Fab Labs could strengthen and expand university-industry partnerships through prototyping joint research or products with digital fabrication machines. HEQEP and the World Bank will soon expand the existing Academic Innovation Fund for establishing Fab Labs at selected universities. In parallel, the team will conduct capacity development, events, and a competition to connect different communities and develop skills to foster interactions and innovations. This post was written by Saori Imaizumi and first appeared on World Bank Blogs. Author: Saori ImaizumiSaori Imaizumi is an ICT & Education Consultant at the World Bank.